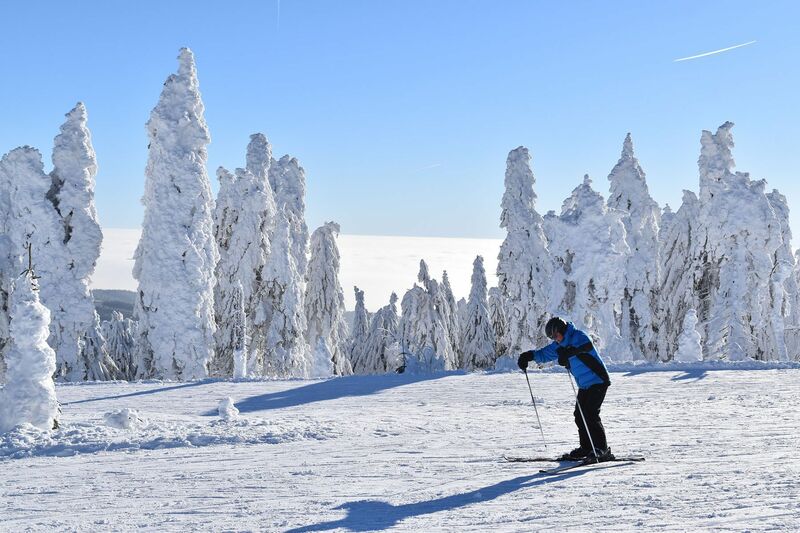 The skiing season is in full swing here in the Czech Republic and ski resorts all around the country are reporting excellent conditions following heavy snowfall in early January. 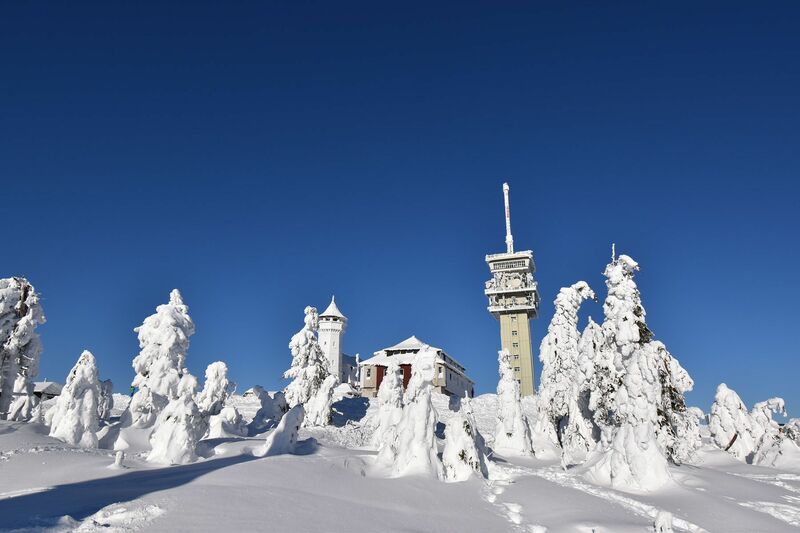 Radio Prague paid a visit to Boží Dar, one of the most popular ski resorts located in Krušné Hory in the northwest of the country. Krušné Hory or the Ore Mountains form a natural border between the German region of Saxony and North Bohemia in the Czech Republic. 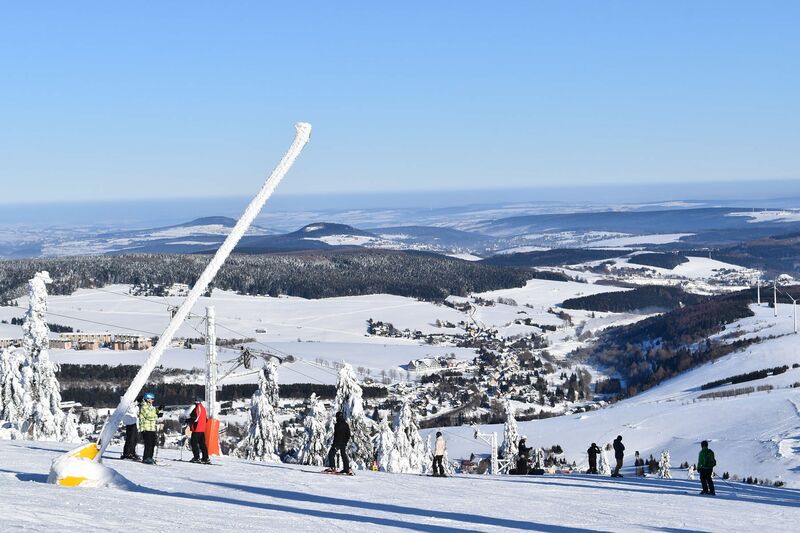 It is the longest mountain range in Bohemia stretching over a distance of 130 km. The region has been influenced by 800 years of ore mining and processing and contains a number of unique historical mine shafts and other mining monuments. 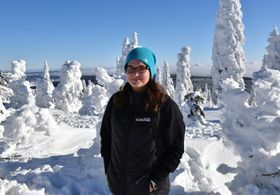 Eva Nduwimanna, photo: Ondřej Tomšů Tourism in the Ore Mountains began to develop in the 19th century, with the development of railways. 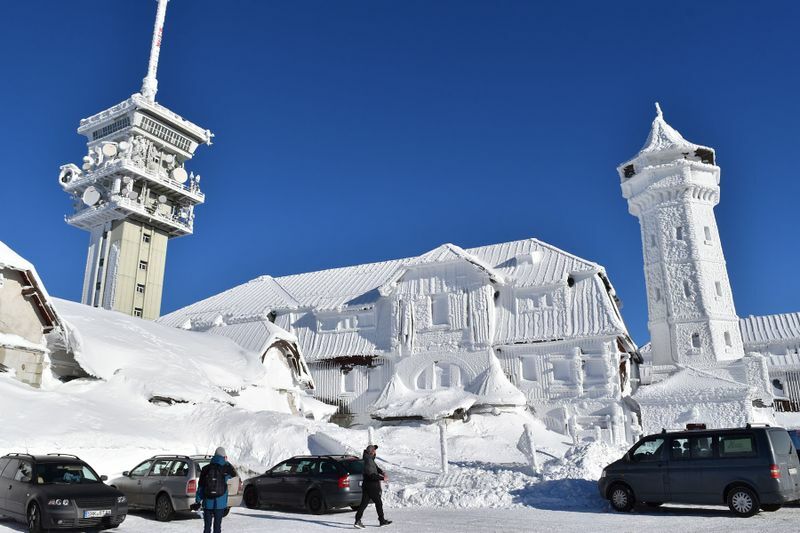 In many places mountain inns and observation towers were erected on the highest peaks. 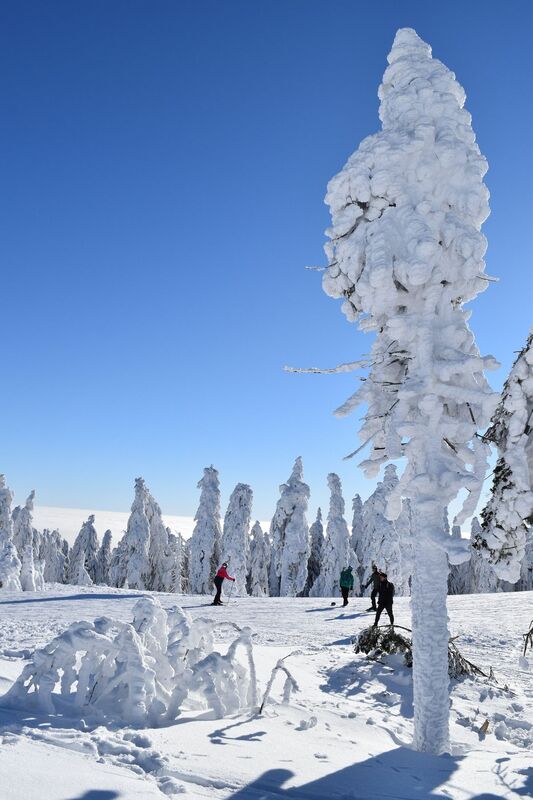 Today there is not only a dense network of trails, but also an extensive cross country skiing network and downhill ski slopes for winter sports. 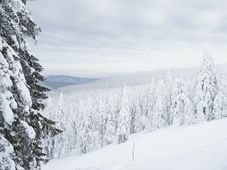 The town of Boží Dar lies in the heart of the Ore Mountains, below the highest peak of Krušné Hory: Klínovec. 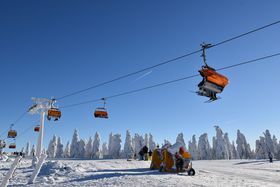 With its altitude of 1028 metres above sea level, it is the highest inhabited town in Central Europe and one of the country’s most popular ski resorts. 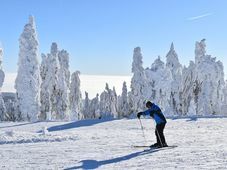 “What makes our resort special is the connectedness with trails in Germany, which gives the skiers more options to choose from. The offer is really varied, so they don’t have to go in one direction there and back. Boží Dar translates into English as a Gift of God. Every year, tens of thousands of people from the Czech Republic send their greetings to the local post office, which stamps them with a special Christmas stamp. It also receives children’s wishes addressed to Ježíšek, or little baby Jesus, who, according to Czech tradition leaves the presents under the Christmas tree. Throughout the whole year, families with children can also enjoy the so-called Baby Jesus Trail, fulfilling various tasks along the way. After completing the trail, they receive a Baby Jesus stamp and a little reward at the local post-office. “You can take the main cross-country skiing route from Boží Dar to Červená jáma. There is also a 20-kilometre circuit called Karlův běh, from Boží Dar to Plešivec. It has a nice terrain and there aren’t that many pedestrians. “The best-known race is Karlův běh, one of the oldest long-distance races in the Czech Republic, which takes place near Boží Dar. 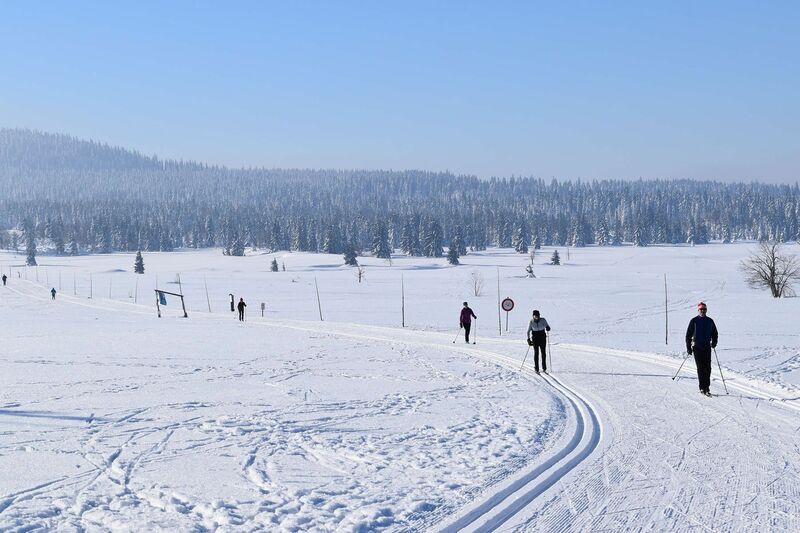 You can choose between a 20 and 40-kilometre run, and between classical technique or skate skiing. There is also a shorter race for children. 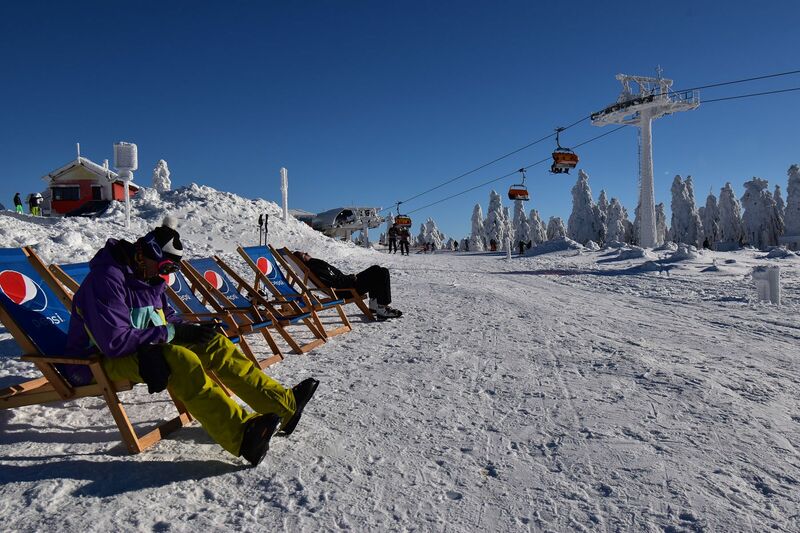 Downhill skiers and snowboarders arriving in Boží Dar can also take advantage of the proximity of Germany and enjoy the slopes in both the Czech and German parts of the mountains. 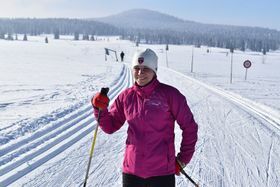 Hana Hoffmanová is a spokeswoman for the Klínovec resort, the largest ski resort on the Czech side of the Ore Mountains. 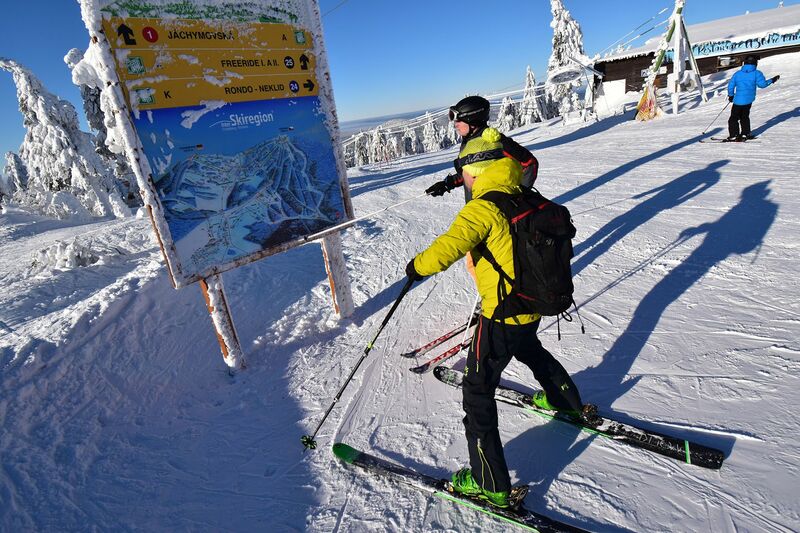 “Thanks to connecting the resort of Klínovec with the neighbouring Neklid, we currently have some 31 kilometres of slopes, while in the past we only had around 18 kilometres. 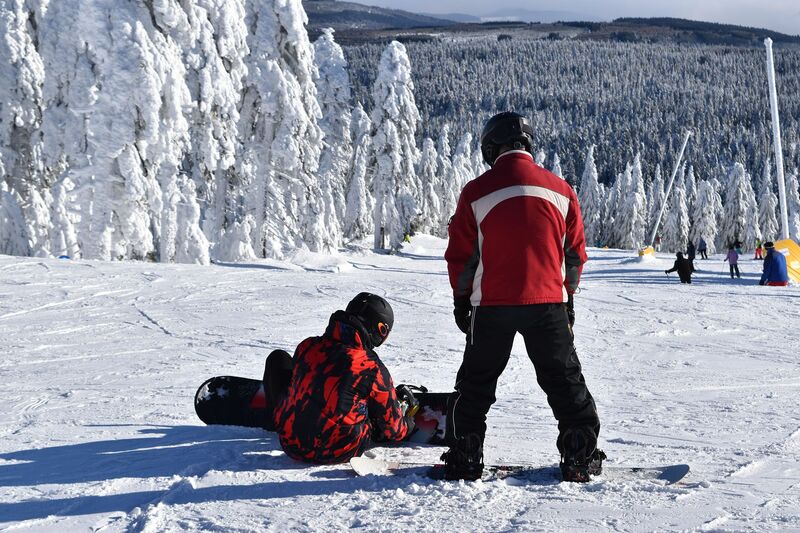 Just like the other ski resorts in the Czech Republic, the Ore Mountains are currently enjoying an excellent season. 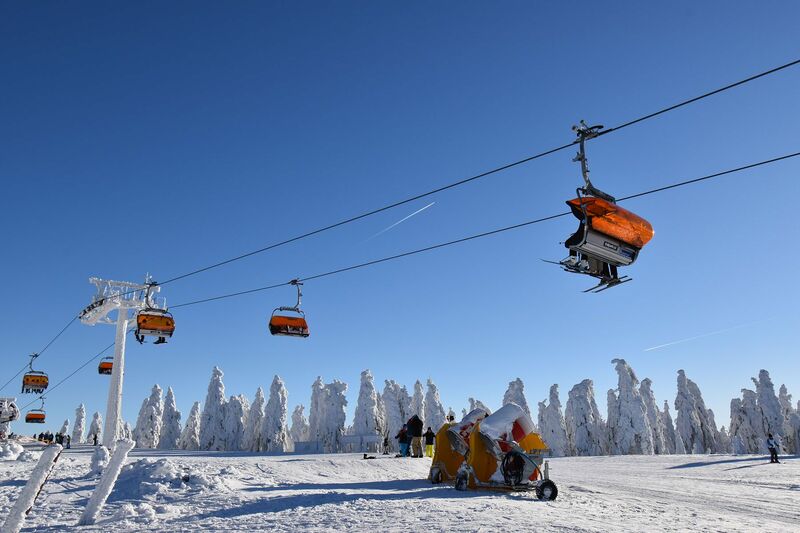 Nevertheless, local ski lift operators are not underestimating the weather, and they are doing everything they can to be prepared for a possible rise in temperatures later in the season. “I would say this winter is the best we have had in recent years. There is currently around one and a half metre to two metres of snow on the slopes and it is a mix of artificial and natural snow. In case of really bad weather, visitors to Boží Dar can also enjoy a sports hall, indoor swimming pool and other activities. 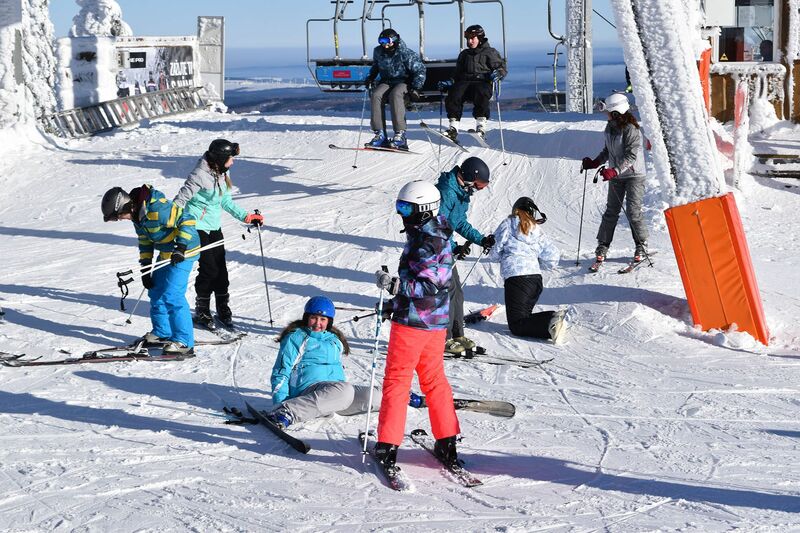 If the weather allows, skiing season could continue until March or early April. The region of Boží Dar is attracting a growing number of tourists also during the summer season. 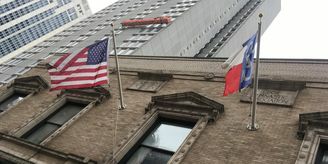 They come to explore its cycling, hiking and nature educations trails, museums and monuments. 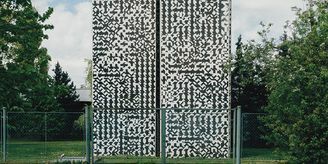 As a part of mining cultural landscape of the Ore Mountains, Boží Dar together with other towns and villages in the region is also seeking to be listed as a UNESCO World Heritage Site.